Talk about glory days! 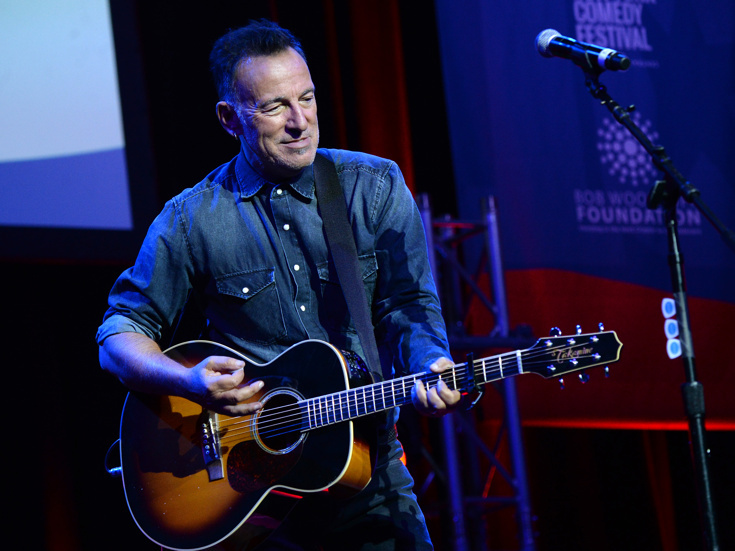 Bruce Springsteen is heading to the boards. According to The New York Post, the music legend, 20-time Grammy winner and Oscar winner will make his Great White Way debut at the Walter Kerr Theatre for a limited eight-week run this fall. The Boss will do a scaled-down version of the set he usually performs on the road. Official dates will be announced at a later time. Springsteen has nabbed Grammy Awards for his extensive musical work as one of the key players of the American music industry. His discography includes hits like "Dancing in the Dark," "Born in the U.S.A.," "Human Touch," "The River" and many more. He has an Academy Award for Best Original Song for "Streets of Philadelphia" from the 1994 film Philadelphia. Springsteen was inducted into the Rock and Roll Hall of Fame in 1999 and has toured all over the world. Springsteen is no stranger to visiting Broadway. Could a musical based off of his memoir, Born To Run, be next? We're listening!